What date will the centre open? What age groups will the centre cater for? We want to grow our tamariki and rangatahi within our Ngāti Whakaue kaupapa from a young age through to their teenage years. By the end of year 10 our graduates will be confident learners with a good grasp of two languages (written and spoken), a burning passion in their chosen field and a good idea of what their education pathway will be in years 11, 12 and beyond. 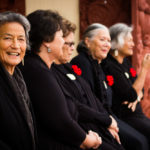 They, and their whānau, will be engaged and committed to education and they will be model students for their secondary school and for their community. Evidence shows that transitions between schools can be a risk area for some learners, and particularly Māori learners. By eliminating the transitions we hope to remove the potential risks of disengaging as a result of a poor transition from primary to middle school and middle school to secondary school. What will the centre roll be? 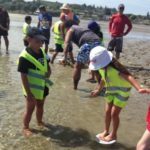 We have engaged with hundreds of students and families over the past four years through the Matakōkiri wānanga. 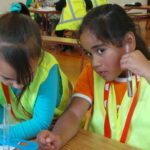 As an organisation, Te Taumata has around 350 families participating in one or more of its services and programmes at any one time. 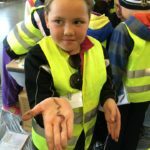 We know that many of these whānau are interested in looking more closely at Te Rangihakahaka Centre for Science and technology as an education option for their tamariki. We understand from government agencies that there are between 300 and 400 young people in Rotorua not currently engaged in formal education. Our doors are open to all learners. 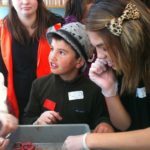 What makes your centre different from other schools? The curriculum is STEAM-based i.e. science, technology, engineering, arts and mathematics. 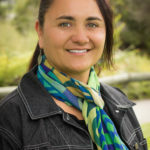 Ngāti Whakaue reo, tikanga and kawa is embedded in the learning environment. The learning programme is wānanga-style and will be heavily influenced by learners and whanau. The facilities are open plan where Tuākana/Tāina relationships and collaborative learning are actively encouraged. Fluency in Maori and English will be supported. This centre is founded on a strategy of Iwi development – Ngāti Whakaue Iho, Ngāti Whakaue Ake. Te Rangihakahaka Centre for Science and Technology will be located at the Turipuku Campus (old TWOA), 7 – 11 Dinsdale Street, Rotorua. Who are your key teachers? Passionate about learning, teaching and education. Prepared to continuously improve their practice. Innovative in their teaching practice and driven to excellence. Curious minds in their own right. Committed to te reo Māori. We plan to announce our foundation team in early December 2017. What is your policy in regards to the ratio of qualified teachers to non-qualified? At least 80% of our teachers will be qualified teachers. All teachers will have recognised expertise in cultural practices and / or science and technology. Will this be a reo speaking centre? Te Reo Māori is our language of choice and will be the preferred medium for teaching. We are a bi-lingual environment. 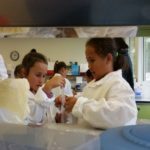 The curriculum is STEAM-based i.e. science, technology, engineering, arts and mathematics. Our curriculum links to the New Zealand Curriculum. 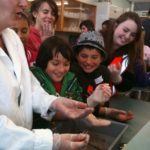 We have developed our own Ngāti Whakaue science curriculum framework – Te Whareaonui. Te Whareaonui aligns the scientific process of enquiry with the construction of a wharenui. Students relate to the symbolism of the wharenui enabling them to engage more confidently in the enquiry process. What will the weekly and daily programme look like? There will be an overarching kaupapa selected for each term such as Whakapapa / Genetics or Matariki / Astronomy (see the section on curriculum). Students will cover a wide range of disciplines including literacy and mathematics related to that topic. The term programme will include wānanga on marae in the first week and again in the last week. Learning outside the classroom and frequent excursions will be an important and regular part of the programme. The centre will open at 8am each morning. Focussed learning will happen from 10am to 4pm. The centre will remain open until 8pm allowing time for extra-curricular activities, self-directed learning and a range of whanau-focussed classes including te reo classes. 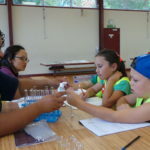 Each day will focus on a specialist subject – that is, the knowledge, skills and practical application of the specialist subject – such as science, mathematics, engineering, technology, and te reo. At least one morning per week will be dedicated to community service. This programme will allow students to experience deep learning, to gain new insight and to discover new passions. An enrolment pack will be sent out as soon as you register your interest through this website. Once you receive your pack, complete all the information and return it to Renee Gillies at Te Taumata o Ngāti Whakaue Iho Ake offices 2C Ranolf Street (offices behind Te Puna Akoranga) as soon as possible. Please ensure you bring all the necessary documents with you. Are there fees or uniforms? At this stage there are no fees for students wanting to attend Te Rangihakahaka. However, there are many other ways whānau can contribute to our Centre. We do not have a uniform for next year. This is something we would like to consult with whānau about and if whānau would like a uniform, then we would design this together with our tamariki.